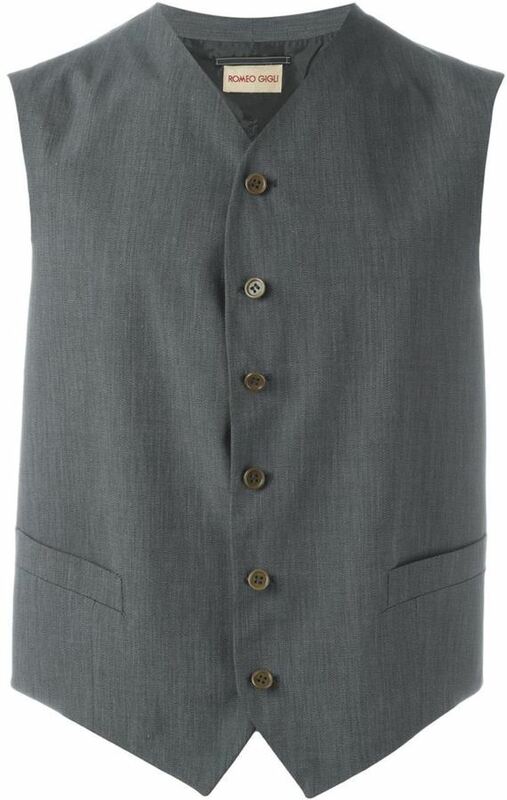 For a nothing less than incredibly stylish getup, team a grey waistcoat with grey wool dress pants. 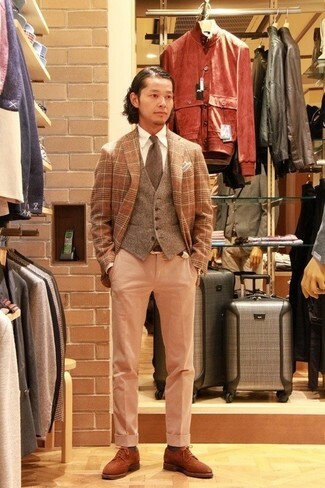 Wear a romeo gigli vintage classic waistcoat with beige check dress pants for a sharp classy look. Rock a pair of beige suede derby shoes to make the look current. 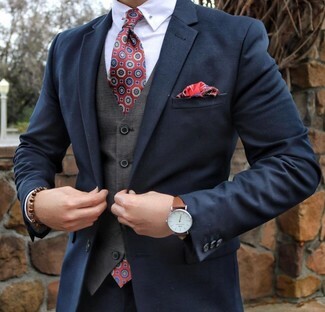 For a nothing less than incredibly stylish look, wear a grey waistcoat with a navy suit. 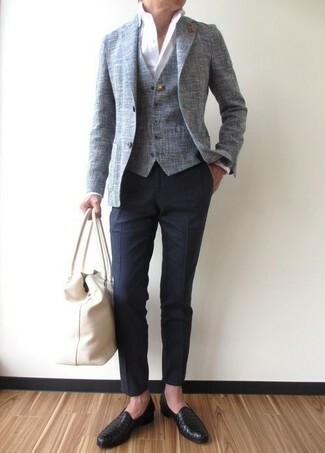 Pair a grey waistcoat with khaki dress pants for a sharp classy look. Make your outfit more fun by complementing it with brown suede brogues. Choose a romeo gigli vintage classic waistcoat and black dress pants for a classic and refined silhouette. When it comes to shoes, this getup is complemented perfectly with brown leather oxford shoes. 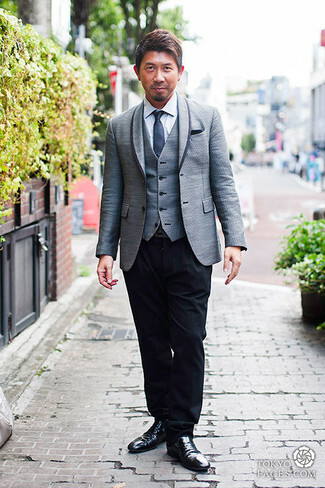 For a nothing less than incredibly stylish look, choose a grey waistcoat and charcoal vertical striped dress pants. 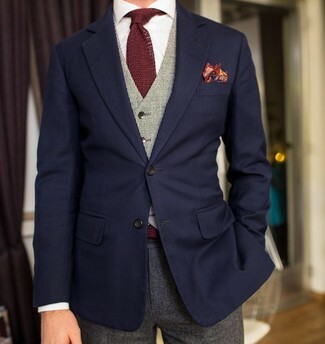 Go for a romeo gigli vintage classic waistcoat from farfetch.com and navy dress pants like a true gent. To bring out the fun side of you, finish off your outfit with black leather loafers. Try pairing a romeo gigli vintage classic waistcoat with grey dress pants for a sharp, fashionable look. Brown leather derby shoes will deliver more playfulness to your look. For a nothing less than incredibly stylish ensemble, pair a romeo gigli vintage classic waistcoat with black dress pants. Go for a pair of black leather loafers for a more relaxed aesthetic.